until the Irish Mail disaster some six years later. 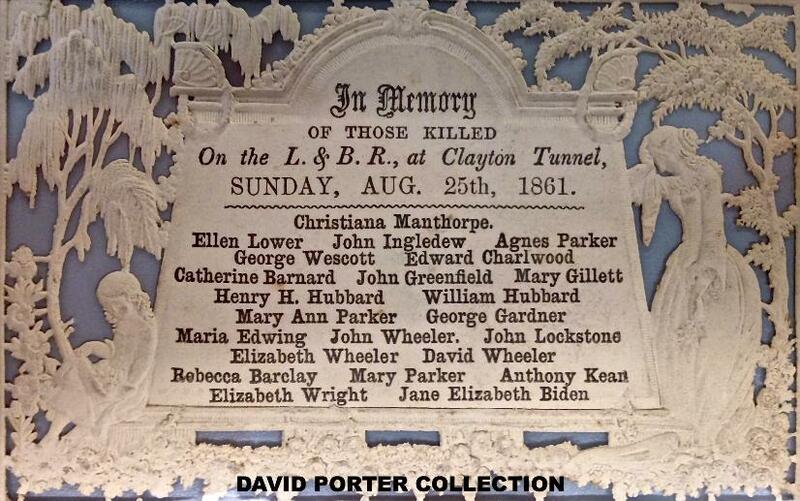 A collision occurred on the 25th August, 1861, in the the Clayon Tunnel, of the L.B.&S.C.R. which is nearly 500 yards long, and 2 1/4 miles distant from Brighton. curved, and of its running through a deep cutting. which is employed in working it. and even this interval has not been rigidly observed. passing through, I will next proceed to describe the way in which the collision occurred. were advertised to start, respectively. stopping, until it reached the Norwood Junction, which is eight and a half miles from London. tunnel, to stop the train in obedience to the red flag. into from behind by a third train, to which it will next be my duty to refer. The third train was the ordinary passenger train from Brighton to London, and it consisted of ‘Wilson-patern Single’ No. have already stated, two minutes faster than that on the platform. his steam and reverse his engine, while his fireman applied the tender break, before he came into collision with it. second train must have been pushed forward at least 50 yards by the force of the collision. train, riding next behind the tender, was nearly killed, and now lies in a precarious condition. vertical position when they were not in use. renders it impossible that they can both give a true version of what occurred. him a message, in the latter portion of which he reported the collision to have occurred. when it would directly have led to it. company to whom I have referred, tends to show that the train was even nearer to him. red flag, to give a signal of a less satisfactory character. as successively approached the south end of the Clayton tunnel. haven got through the tunnel. train was subsequently stopped in the tunnel under its protection. So far, there was nothing that need have occasioned a collision. The first train had proceeded forward on its way to London. 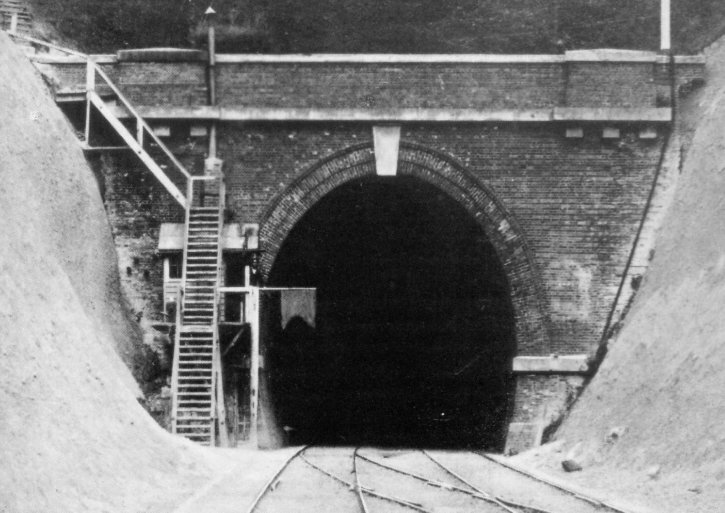 The second train drew up in the tunnel, in obedience to Killick’s red flag, and was adequately protected by his distant signal. with undiminished speed to the tunnel mouth. about 200 yards within the tunnel. could not have expected this particular accident to occur. train to a stand in the tunnel. Killick, as to whether the train was “out,” applied to the first train instead of to the second train. pull up as soon at he could after seeing his red flag. records made by responsible officers, within a short distance, and perhaps on nth sides of him. master to have preserved that interval between all trains starting from the Brighton station. forward in connection with the present accident. paid no attention to his signal. obstructions to view may arise either from the condition of the line or from the state of the atmosphere. on which the trains follow each in rapid succession. then to have been averted, if the telegraph was to be relied upon. can be placed, has also partly contributed to the same result. side of the instrument, as may be necessary, and always keeping it so blocked over, to indicate the actual condition of the line. exchange signals in the meantime with signalman B in regard to a train entering, or passing out, upon the other line. no excuse whatever for doing so. such an accident from any misunderstanding between the signalmen would have been very remote indeed. train is to be turned when it arrives, or of the line on which it is about to proceed. a driver to see many yards before him. trains to be stopped short of the tunnel. wires employed for this purpose, being only used in rare instances, might be found to be out of order when they were wanted. by restricting more than one engine or train from being in the tunnel at one time. whom he takes alternate duty, if it should become necessary for hime to do so. led to it, if they had been working according to the method I have indicated. of this description than those actually employed at all times in the performance of them. unimproved as long as nothing occurred particularly to direct attention to it. not passed over it, may have had something to do in misleading the driver of the excursion train and leading to the accident. there does not appear, from the evidence in this case, to have been sufficient attention paid to them in this respect. up the different causes that led to it, in order of their relative importance. rendered it, for the reasons previously stated, more easy for the signalmen to misunderstanding each other, or make a mistake. 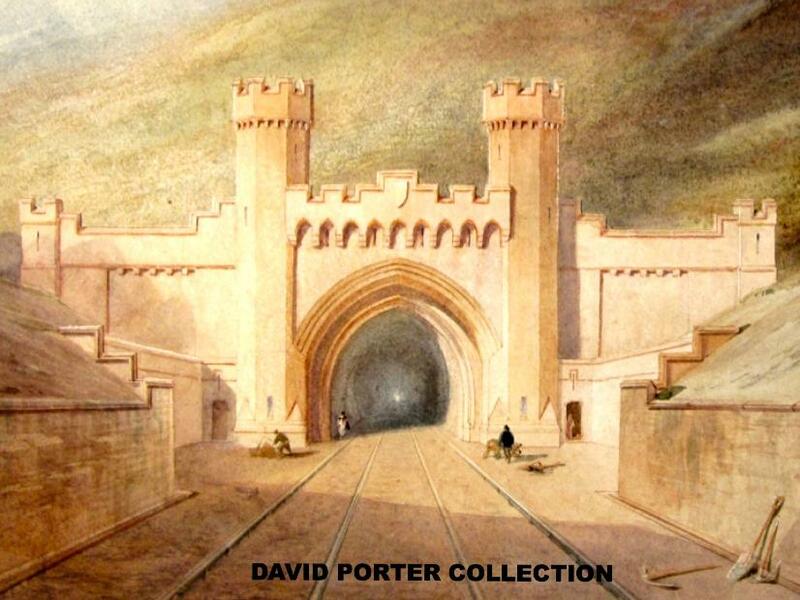 2, The signalmen were unprovided with record books, which would have rendered to mistakes less likely. “out” to Killick, and if Killick haas kept up his signal, as he would no doubt in that case have done, against the third train. of rails in the following length. maximum of convenience and simplicity with a minimum chance of misunderstanding and risk. reports have been made to their Lordships during those years. London hauled by a 'Wilson-patern Single' loco No. 126, which was due to depart at 8:15 a.m. In those days the L.B.&S.C.R. displayed a red flag but, as the train charged into the tunnel, did not know whether or not Driver Scott on Nº126 had seen it. the engine crushed the coaches. Above is a memorial/funeral card that was produced for a funeral/memorial event held after the accident. nothing about the recommendation at this time.